Professor Naomie Salim is a passionate lecturer whom not only focus on teaching but also actively participate in research. She has over 20 years of experience and has produced various scientific research publications, as well as supervised over 100 of students undergraduate and postgraduate. Her area of expertise ranging in Information Retrieval, Database Systems, Chemical Informatics, Text Mining and also Big Data. Professor Naomie’s main research goal is to design of new algorithms to improve the effectiveness of searching and mining new knowledge from various kinds of datasets, including unstructured, semi-structured and structured databases. The current focus of her research is on chemical databases and text databases to support the process of computer-aided drug design, text summarisation, plagiarism detection, automatic information extraction, sentiment analysis and recommendation systems. The output of the research has been incorporated into a number of software such as UTMChem Workbench, KimiaSpace and NADI Natural Products Database System to support drug design and drug optimisation process, UTMCLPD Cross Language Plagiarism Detection System to summarise documents and check for plagiarism and Oricheck for cross-language idea similarity checking and plagiarism detection. Professor Naomie has been involved in more than 50 research projects out of which she heads more than 20 of the projects. She has authored over 170 journal articles. Among the research and innovation awards received by Professor Salim are the PECIPTA 2011 Gold Medal award for her UTMCLP cross-language semantic plagiarism detection system, the I-inova 2010 Gold Medal award for her Islamic Ontology-based Quran search engine, BioInnovation 2011 Bronze Award for UTMChem Workbench Molecular Database System, iPhex Gold Medal Award for innovation in teaching and learning, UTM 2011 Best Research Award, UTM 2014 Best Research Award and the INATEX Distinction Award (1998). She is also a fellow of Japan Society for the Promotion of Science (JSPS) and heads the Soft Computing Research Group UTM. She has been elected as members of senate, Universiti Teknologi Malaysia (UTM) for several of consecutive years. 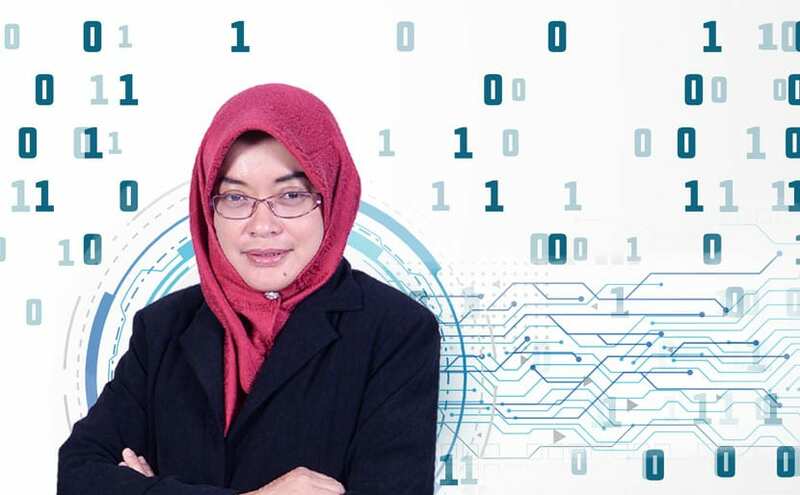 Additionally, she is the head research for group of Soft Computing Research Group (SCRG), School of Computing and currently holds a position as Deputy Dean of Innovation & Research at Faculty Engineering, Universiti Teknologi Malaysia (UTM). If you are interested in her area of expertise, please contact her at +607 5538726 or email her at naomie@utm.my.